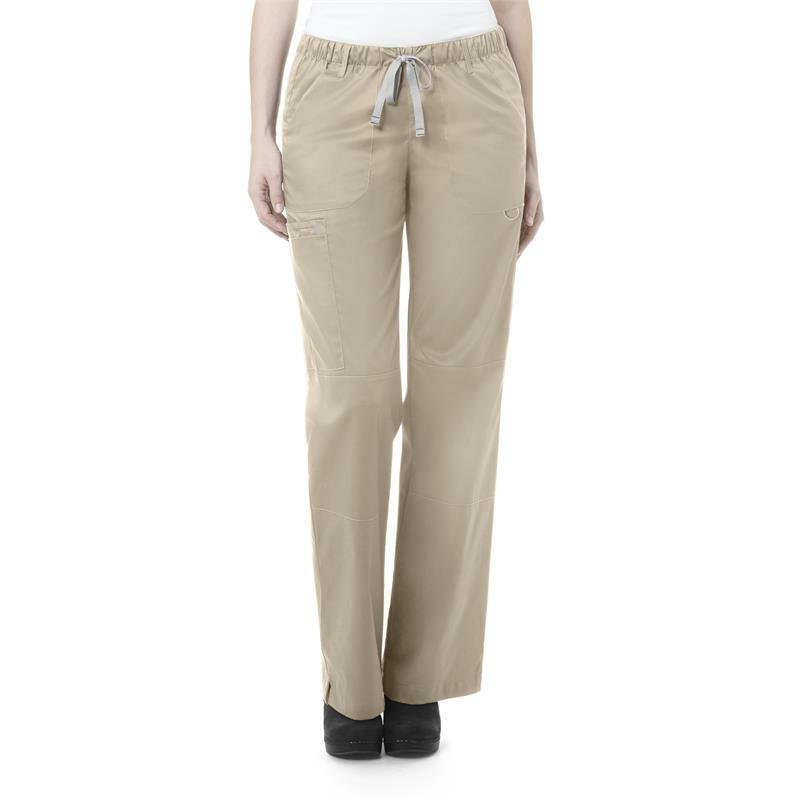 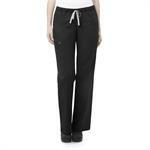 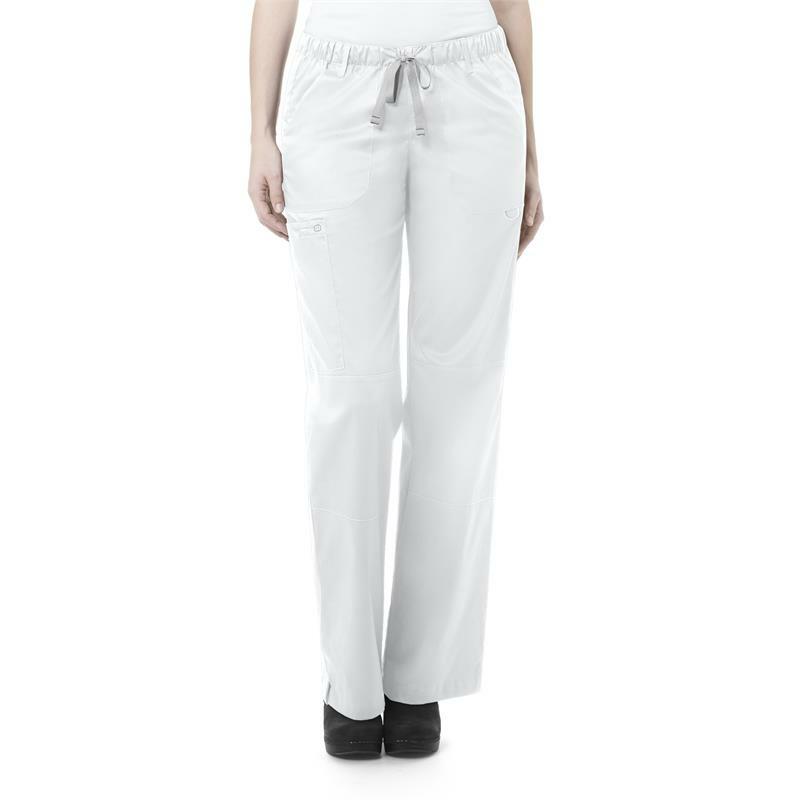 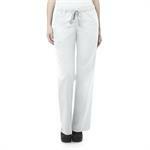 This women's fit straight leg tall cargo pant features full elastic waist with full adjustable drawstring, front rise sits slightly below natural waist with back rise being a bit higher for more coverage, two front roomy slash pockets, one back patch pocket, double cargo pocket with pen pocket and utility loop, bungee loop, vented bottom, and five belt loops at waist. Made of 65% polyester / 35% cotton. 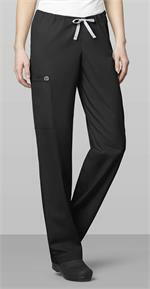 Inseam is 33".